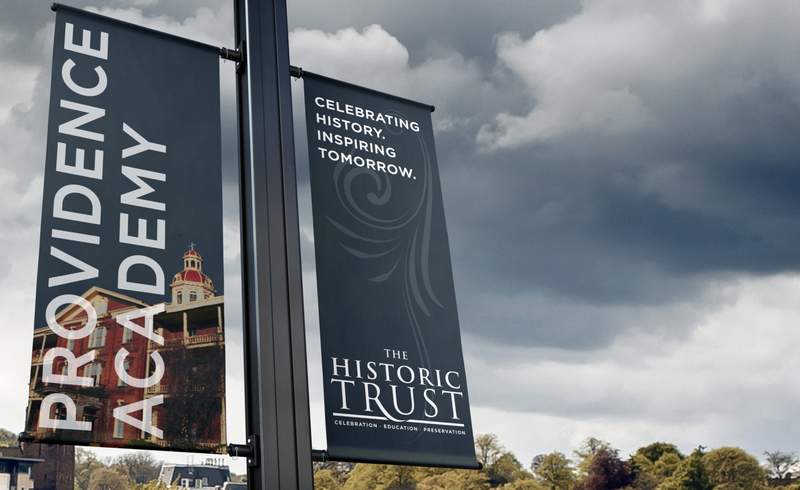 The re-brand and joining of several separate entities into the Historic Trust of Vancouver, Washington. 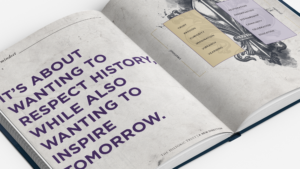 When we sat down with the Historic Trust to re-brand them, there was a lot to bring together into one brand. 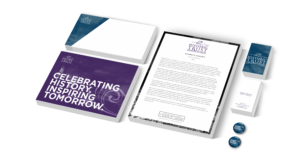 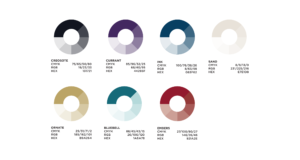 There were different parts of the organization being brought together and they wanted to have a cohesive brand that resonated with every part. 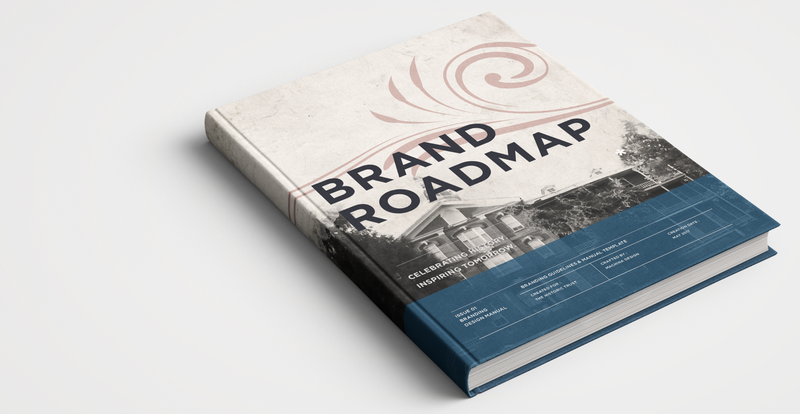 We took this opportunity to create a Brand Roadmap, a true guide for making sure their brand story was told and given a path forward. 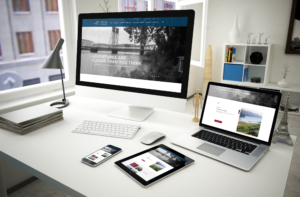 A large part of the need for a re-brand was to create more interest and make more of the local community aware of the rich history Vancouver Washington has. 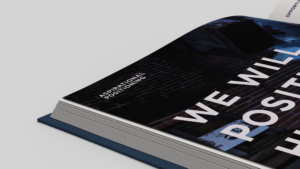 Part of the branding included creating signs to hang from city lamp posts that in a way announced the new brand they had created and building more recognition of who they are, and the rich history of the city. 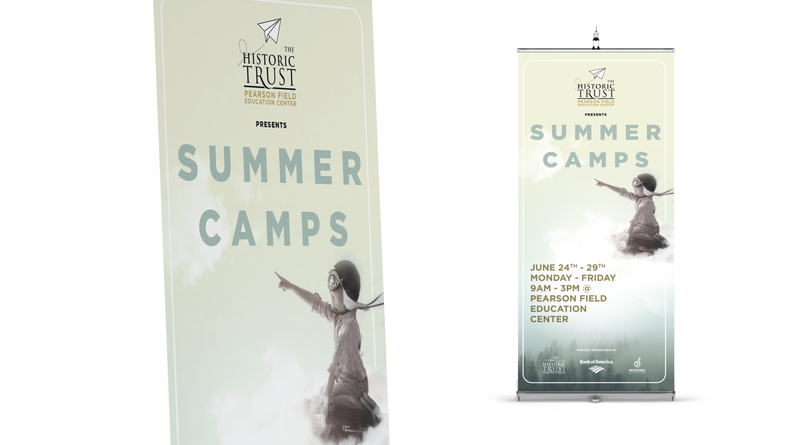 These banners along with some smaller ones created great marketing material for them.